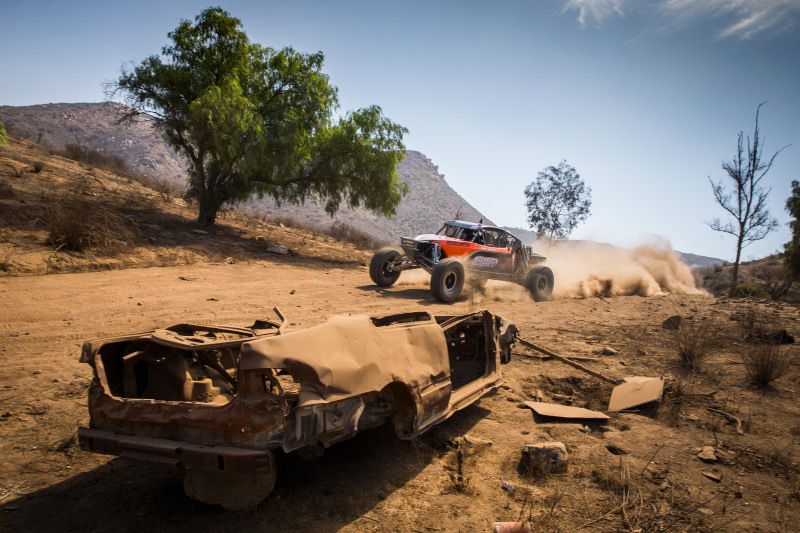 As the vast open wilderness is slowly encroached on by urban development, off road desert racing is something to be cherished. 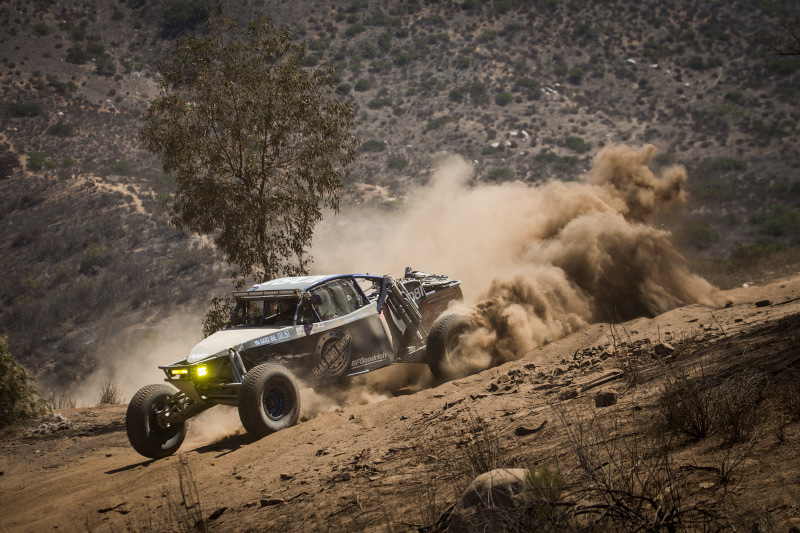 For desert racers, the preference is to race as many off road miles as possible. Apparently the longer and rougher is also better. SCORE International’s latest hustle to find new trails and untapped miles, is the Tijuana Desert Challenge. 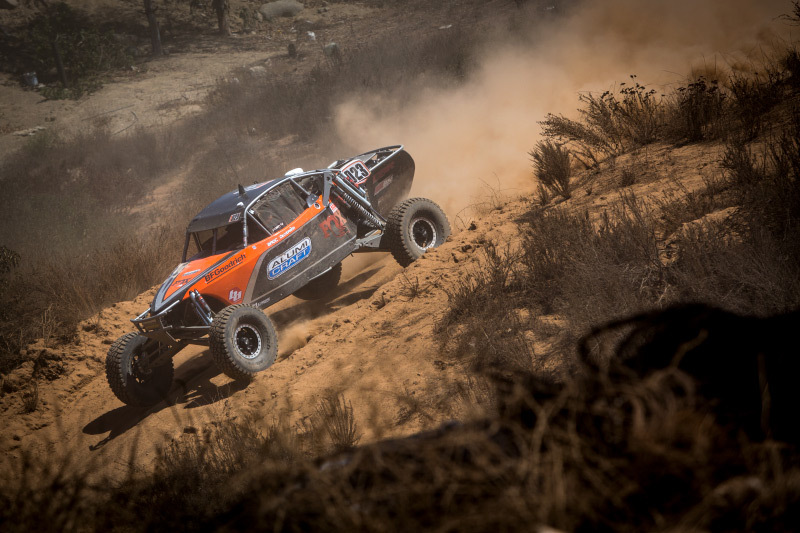 Alumi Craft Class 10 Buggy Racer, Broc Dickerson surprised the field by placing 3rd overall out of 106 four wheeled entries with a combined finishing time of 3 Hours 26 Minutes and 50.5 Seconds. 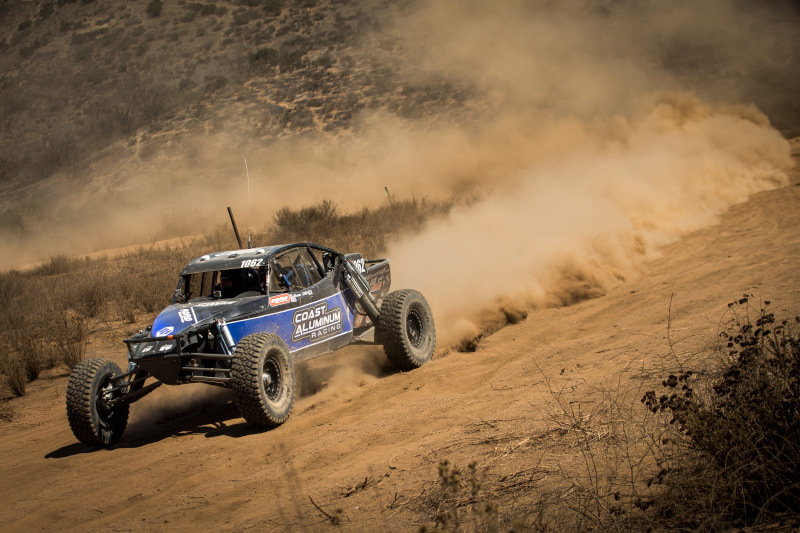 Dickerson missed 2nd overall with Rob MacCachren’s #11 Trophy Truck combined times just 36 Seconds quicker. 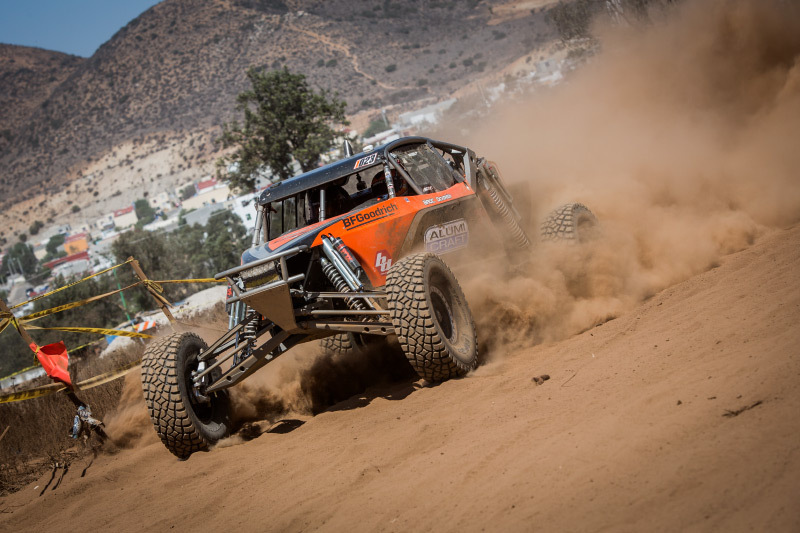 The Tijuana Desert Challenge, taking place on September 19-23, originally called for 2 days of heat racing, offering 2 laps per day, totaling 160 miles. Unresolvable land disputes forced SCORE to revise the course down to 2 Laps over a challenging 33.7 mile course for a total of 67.4 miles for each heat race. 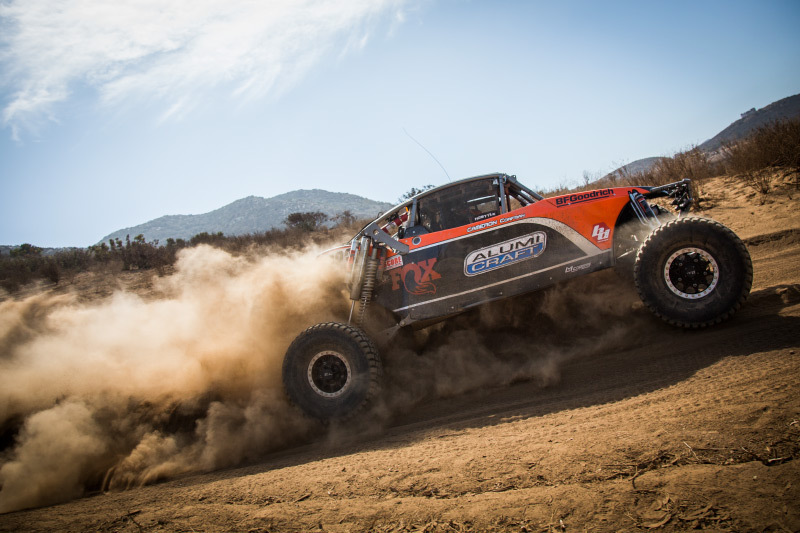 The new course included 2 check points and one remote pit location, with the entire race taking place in the Rancho Casian region of Tijuana, inland from the coast near Rosarito, Baja California, Mexico. The Start and Finish were located by the developing area near Route 201. The heat races were separated into 3 Groups with the Class 10 designated into Group 2. Group 2, Heat 1 saw an all Alumi Craft Top 4 finish with Broc Dickerson pulling off the win and racing the 2 Laps totaling 67.4 miles in 1 Hour 45 Minutes and 11 Seconds. Sunday’s Race [Heat 2] saw Group 2 with another all Alumi Craft Top 5 finish with another victory for Broc Dickerson in the #1023 Class 10 Buggy. Broc’s two 1st place race wins and combined heat finishing time was good enough to rank him 3rd overall and the highest placing buggy in the field. It should also be noted Dickerson was the highest ranking finisher with the most improved time on the second day. Broc was the 2017 Class 10 winner as well. Besides the all Alumi Craft podium finishes in both Heats 1 & 2, the combined overall finishing time resulted into an all Alumi Craft Buggy Class 10 podium. Alumi Craft offers many types of cars for competition or pleasure and a long list of services and support. 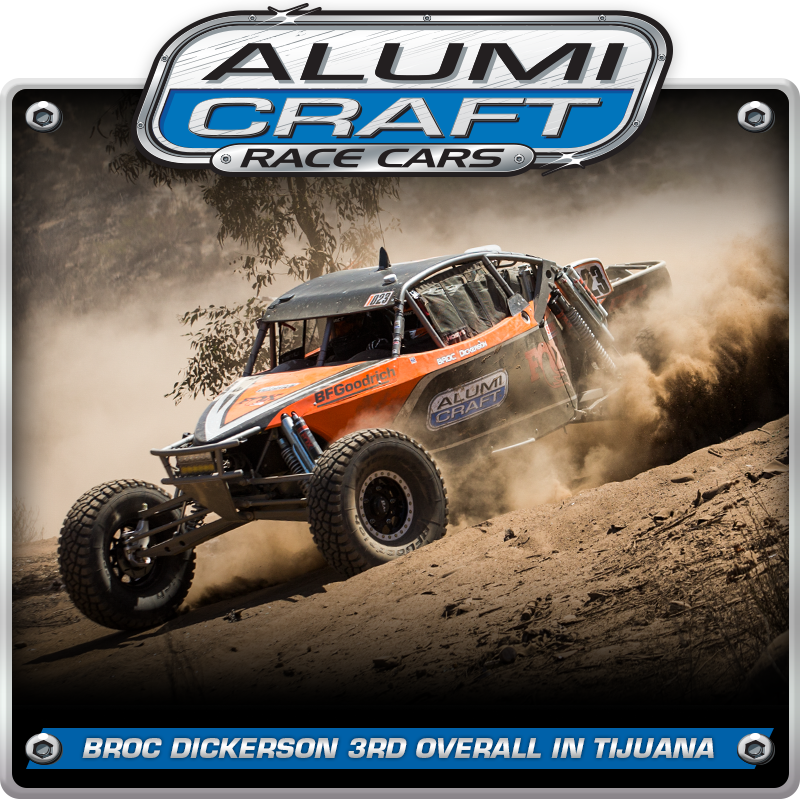 If you demand the best, give Alumi Craft a call at 619-596-9841 to find out more about our race products and services.